No Blogging for Old Men: The Small Screen: Legion "Chapter 1"
I am debating whether the eighth episode of The Young Pope or "Chapter 1" of Legion is the best single episode of television to air in 2017 thus far, and I watched them both on the same day. It was a pretty good day. Legion is off to a remarkable, unnerving, brilliant start with a 90 minute premiere that feels like Marvel Studios hired someone who decided to make a superhero show with a style inspired by Stanley Kubrick and David Lynch, and that someone is Noah Hawley who also created the Fargo series for FX, which sadly I have never watched but I absolutely want to catch up on now. Hawley tapped into something truly wonderful here, and if the level of quality displayed during our introduction to Legion can continue for seven more weeks, it will without a doubt be one of the greatest pieces of entertainment of the year. 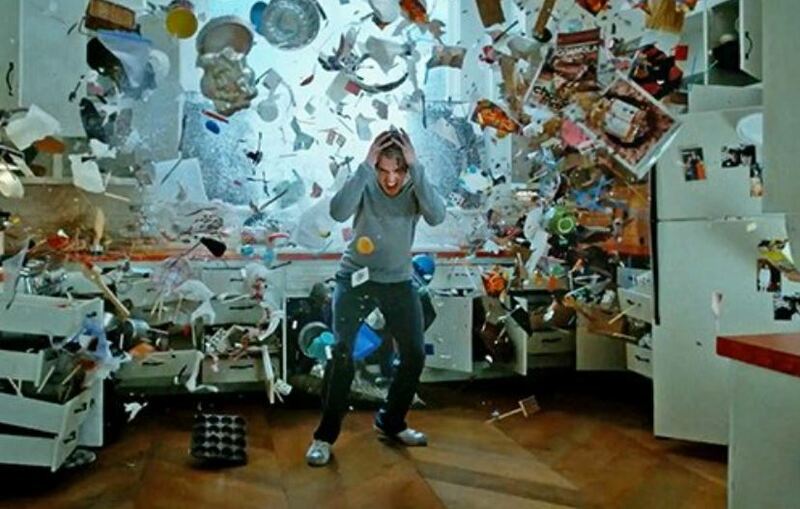 Starring Dan Stevens, Rachel Keller, Aubrey Plaza and Katie Aselton, watch Legion. I don't care if you typically like material inspired by comic books, just please give the series a chance. I read that the ratings for this premiere were not nearly as extraordinary as the show itself, and if Legion isn't allowed to live on long enough to reach its full potential it would be a real shame.